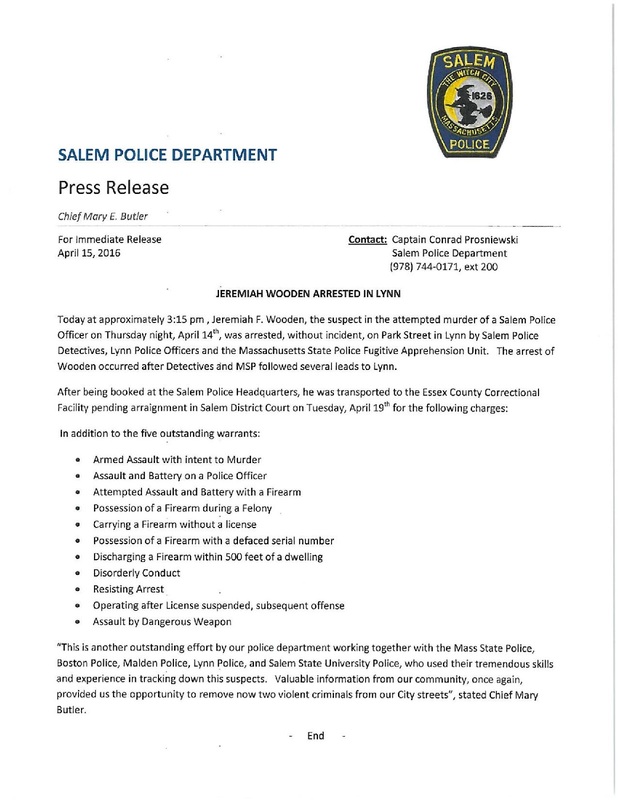 Today at approximately 3:15 pm, Jeremiah F. Wooden, the suspect in the attempted murder of a Salem Police Officer on Thursday night, April 14th, was arrested, without incident, on Park Street in Lynn by Salem Police Detectives, Lynn Police Officers, and the Massachusetts State Police Fugitive Apprehension Unit. The arrest of Wooden occurred after Detectives and MSP followed several leads to Lynn. "This is another outstanding effort by our police department working together with the Mass State Police, Boston Police, Malden Police, Lynn Police, and Salem State University Police, who used tremendous skills and experience in tracking down the suspect. 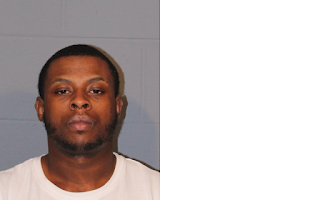 Valuable information from our community, once again, provided us the opportunity to remove now two violent criminals from our City streets", stated Chief Mary Butler.